In 1978 the Libyan leader Moammar Qaddafi invited the Lebanese Muslim leader Musa Sadr to visit Libya. 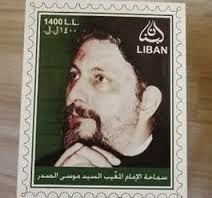 As the late Fouad Ajami put it, the imam vanished on that trip. There were many theories put forth on what has actually happened. The Libyans claimed that the imam and his companions left Libya for Italy. This turned out to be a blatant lie. The fact remains that the imam entered Libya and never left. The Libyan regime and its successor regime never presented a convincing explanation to provide closure.